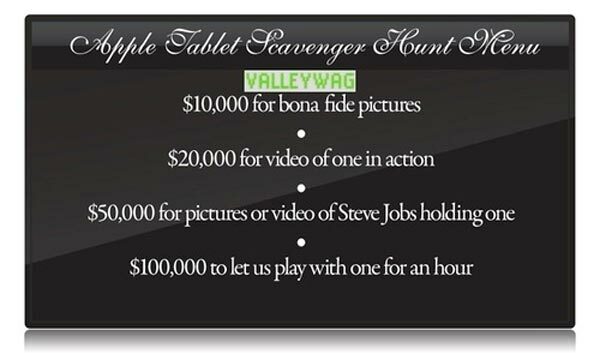 On Wednesday, Valleywag put up an article where they offered up to $100,000 for evidence of the much rumored Apple Tablet, and it looks like Apple weren’t to happy about it as Valleywag’s parent company Gawker, who also own Gizmodo and a number of other high end websites, have received a letter from Apple’s lawyers. Gawker received a letter from Attorney Michael C. Spillner of Silicon Valley firm Orrick, Herrington and Suttcliffe, the letter said the following. Historically when Apple has sent a letter from its lawyers in the past, the Apple product concerned has existed, so could this be confirmation of the much rumored Apple tablet. I guess we will just have to wait and see until January the 27th, when we hope Apple will finally reveal their Tablet, and this will put a stop to the endless rumors.